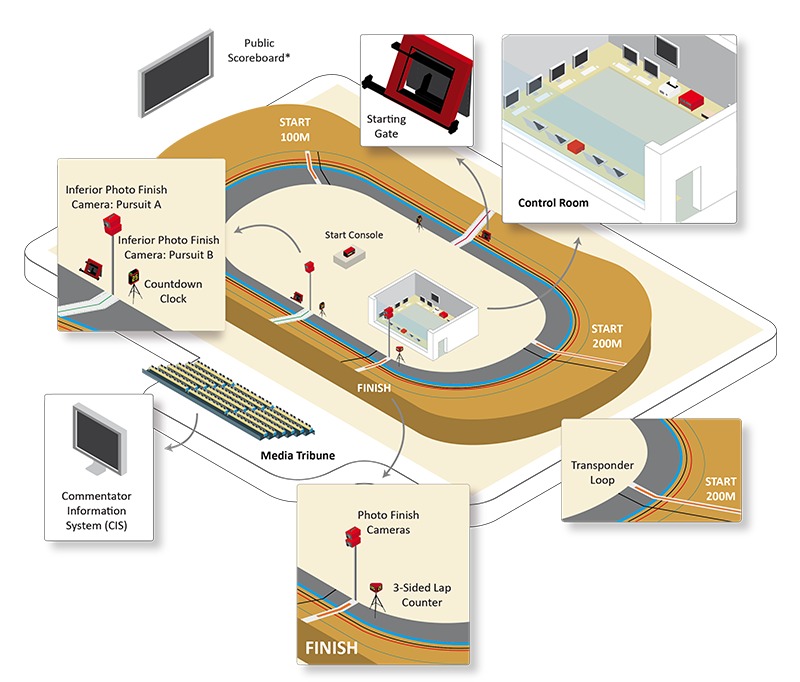 Events such as the sprint qualification, individual and team pursuits, time trials, and the team sprint require devices that deliver precision of 1/1000th of a second as riders cross the lines. 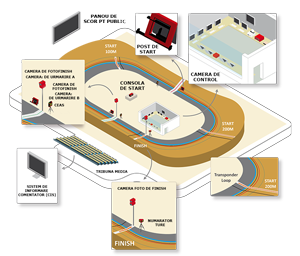 Active sensors are integrated over the entire width of the start, finish, and pursuit lines. Signals are sent to the timing system by these sensors each time a wheel passes over one of the lines. The technology is completely connected to and integrated with a high-performance IT system, which is at the heart of processing and progressing the data for major competitions.